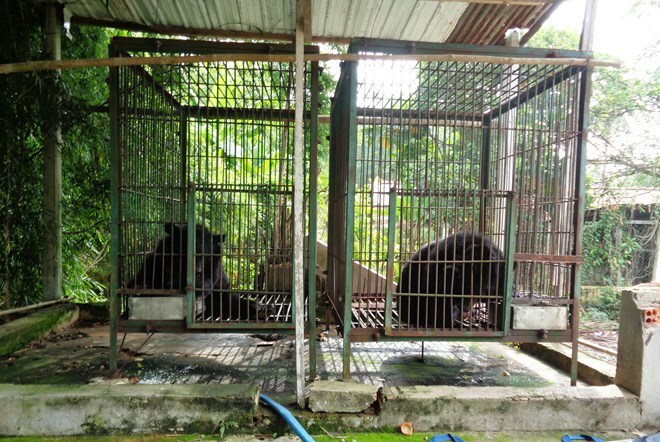 Two Tibetan bears which were illegally possessed in southern Tay Ninh province were sent to Hon Me Rescue Centre in the southern province of Kien Giang. The bears, one male and one female, have been caged since 2008. The owner voluntarily relinquished the animals. In February 2017, two other Tibetan bears kept in Ninh Thanh ward of Tay Ninh province were given to Hon Me Rescue Centre. Tay Ninh province has at least two more bears in captivity which have yet to be rescued. Currently, about 1,200 captive bears need protection nationwide.